Now, let’s get to the filler post you’re 10/10 so excited to read. Before my trip to Asia, I received a box from Influenster with products from YSL. This is the fanciest free gift I’ve ever received from Influenster, so I was excited to use the product & review it. My opinions on the free goodies are my own & in no way reflect Influenster’s opinions. So pretty I don’t even want to use it. 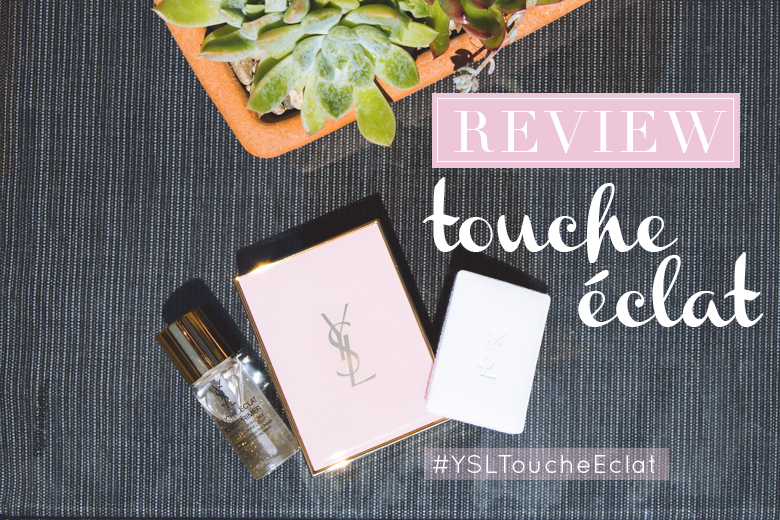 YSL’s Touche Éclat is a beautifully designed product that promises to instantly retouch/mattyfy your makeup (if you have especially oily skin) & to minimize the appearance of pores. My pores are pretty small, so I don’t generally seek products that promise to minimize them, however, when my skin isn’t drying out, it’s oily. I felt that the Touch Éclat Perfector & Primer did such a great job keeping my face looking matte during extreme heat in Thailand. I stopped using it after I started breaking out, but as I’ve mentioned before, my skin is really sensitive. I’m partial to natural products, so even though I am a little starstruck–not quite an apt description of how I feel, but it’ll do for now–by YSL products, I can’t say I’d 10/10 recommend it. Because it is YSL, it’s going to be expensive. It’s about $55 for the Touche Éclat Perfector & $52 for the primer. Overall, the duo work really well together to help minimize oil & to mattyfy your face, but it’s not something I’d recommend to someone with sensitive skin. Applying more products to your face is going to definitely clog your pores & cause you to break out. I really like the product, so I 8/10 recommend it if you need a quality touchup & primer duo to keep your face looking as beautiful as the second you applied your makeup, all day. The design of the products is beautiful, but the applicator for the Perfector doesn’t fit inside the compact mirror dealio, so that’s kind of a bust. I wouldn’t recommend the duo if you’re on a budget, but if you’re making the monies & need to look professional all day, YSL’s got you covered. Lastly…I just realized that I didn’t even have to blog about these products, but it’s too late now, happy filler post, y’all!! I don’t wear makeup and I have really tiny pores. I consider myself lucky because I have pretty good skin. I use toner and facial essence on my face and then I apply a serum before I apply moisturiser. Some days I wear moisturiser with sunscreen, other times I don’t. I have used tinted moisturiser sometimes. I don’t know how I would deal with makeup because I don’t like putting layers of stuff on my face. Sometimes I get by with a moisturiser and I’m good. I usually only get pimples if I forget to wash my face regularly (I wash it in the morning and at night or after going out) and neglect it a little, or if I don’t wash my hands often and touch my face because germs. I have oily skin, so it would be nice to try these YSL products.